LeBron James last night became the third player in NBA history to have 2,000 or more points in 10 or more seasons. James joins Karl Malone (12 2,000-point seasons) and Michael Jordan (11 2,000-point seasons) on this exclusive list,. It’s interesting to note that while James has amassed 10 2,000-point seasons since he came in the league in 2003-04, there are a handful of NBA franchises that have not had a 2,000-point scorer on their team in a very, very long time. The Memphis Grizzlies franchise has not had a 2,000-point scorer in their career. The closest they got was in 1997-98 when Shareef Abdur-Rahim scored 1,829 points, the franchise record. A handful of older players (age 35 or older) are on the rosters of the teams remaining in the NBA playoffs. In fact, a few of those players play predominant scoring roles for their teams, including Boston’s elder statesmen Kevin Garnett (he will turn 36 on May 19) and Ray Allen (age 36), and San Antonio’s Tim Duncan (he just turned 36 in April). Could any of these three (or any other 35+ player) light up the scoreboard with 35 or more points at age 35-plus in this year’s playoffs? 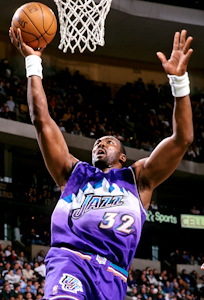 Karl Malone at age 36 and 273 days, is the oldest player to score 50 points in an NBA playoff game. Here’s a look at the players who have scored 35 or more points at age 35 (or older) in the last 25 playoffs (since 1986 playoffs). If we drop the point total down to 30 points in a playoff game, here’s a look at the players age 35+ who scored 30 points or more in the most playoff games in the last 25 years. 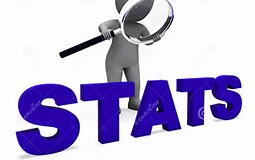 Sports Stats ‘on Tapp’ is a biweekly blog published every Wednesday and Sunday with a bonus “SIX STATS…” published every Friday. Last season the L.A. Clippers Blake Griffin was the only NBA player to have over 1,200 points, over 600 rebounds, and 300 or more assists. Griffin scored 1,845 points, had 989 rebounds and dished out 312 assists. LeBron James fell 10 rebounds short last year of making the 1,200-600-300 club. 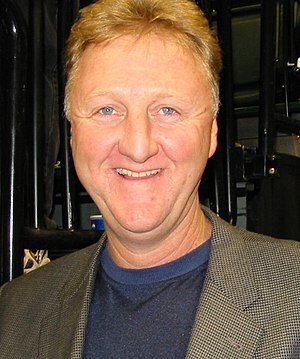 Larry Bird tops the list of players with the most 1,200-600-300 seasons with 10. He is, however, followed by an active player, Boston’s Kevin Garnett, who has amassed nine of these seasons. Following are the players who have the most 1,200+ points, 600+ rebounds, and 300+ assists seasons in the NBA.